Depart from Senggigi at 05.00 and drive to Sembalun Lawang. After breakfast (08.30) directly climb up to Pelawangan II (East Gate) which takes about 8 hours, then have lunch. Overnight on the rim (Cemara Sewu) , at 2900 meters above sea level. At 02.00 am climb up to the summit, see sunrise and down to Pelawangan for breakfast. At 07.00, leave Pelawangan and go down to the lake which takes 3 hours. Upon arrival, have lunch and set a tent for overnight (camping). 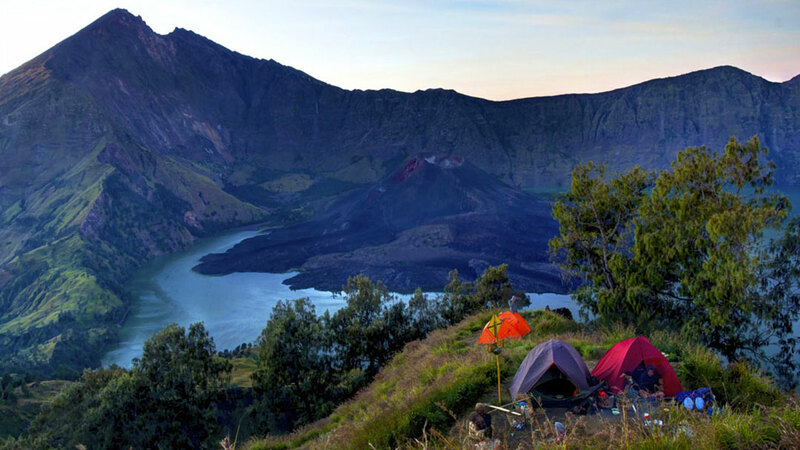 After early breakfast, leave the lake at 07.00 a.m. and climb up to another crater rim which takes 2 hours. Have a little rest and take some pictures for good memories. Continue to Post III and will arrive in Senaru in the afternoon. Our bus is ready to pick you up for a transfer to Senggigi, Mataram or if you prefer, back to the Gili Islands. Depart from Senggigi at 09.00 a.m. and drive along North West coast via Pusuk (Monkey Forest) and Segenter (traditional village). Lunch on the way to Sembalun (lunch box / in local restaurant). Arrive late afternoon. Stay overnight at Pondok Sembalun. 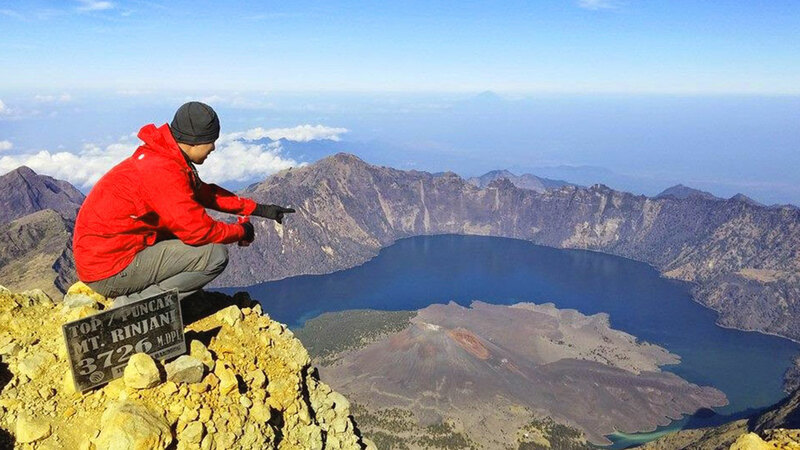 After early breakfast, leave the lake at 07.00 a.m. and climb up to another crater rim which takes 2 hours. Have a little rest and take some pictures for memory. Continue to Post III and will arrive in Senaru in the afternoon. Our bus is ready to pick you up for a transfer to Senggigi or Mataram.